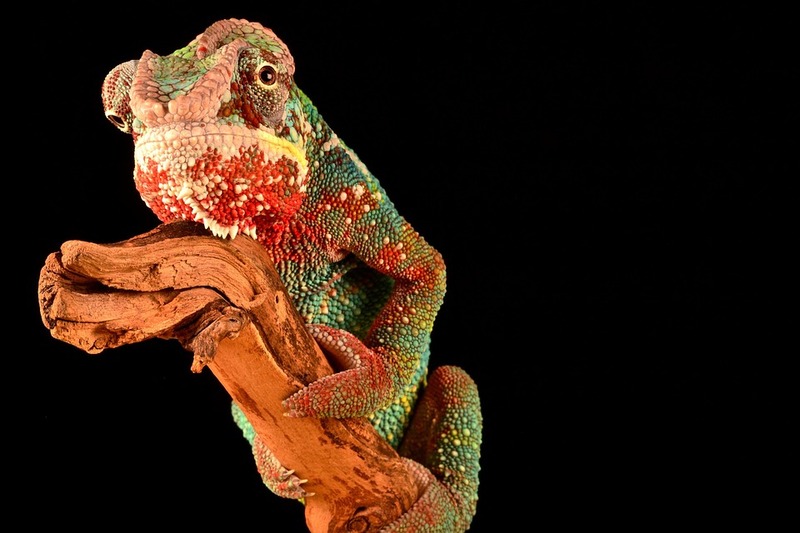 Taking nature's principals into play, experts have taken an inspiration from the chameleon. As the lizard shifts its color from turquoise to pink to orange to green, so does the technology. Scientists from the Northwestern University have developed a novel nanolaser that changes colors using the same mechanism as chameleons. The work could open the door for advances in flexible optical displays in smartphones and televisions, wearable photonic devices and ultra-sensitive sensors that measure strain. "Chameleons can easily change their colors by controlling the spacing among the nanocrystals on their skin, which determines the color we observe," said researchers Teri W. Odom, Charles E. Schatz and Emma H. Morrison Professor of Chemistry in Northwestern’s Weinberg College of Arts and Sciences. "This coloring based on surface structure is chemically stable and robust." The same way a chameleon controls the spacing of nanocrystals on its skin, the Northwestern team's laser exploited periodic arrays of metal nanoparticles on a stretchable, polymer matrix. As the matrix either stretches to pull the nanoparticles farther apart or contracts to push them closer together, the wavelength emitted by the laser changes wavelength, which also changes its color. "Hence, by stretching and releasing the elastomer substrate, we could select the emission color at will," Odom said. The resulting laser was robust, tunable, reversible and has a high sensitivity to strain. These properties were critical for applications in responsive optical displays, on-chip photonic circuits, and multiplexed optical communication. The study appears in the journal Nano Letters.